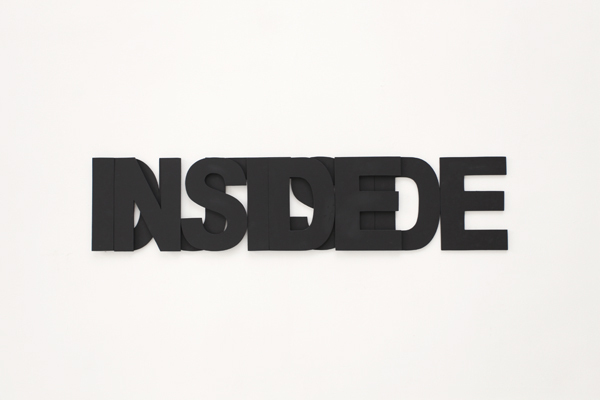 Made from wood and painted black, letters composing the words "inside_outside" are installed as a wall object. However, the letters overlap and obscure an easy reading of the phrase. Likewise, the overlapping of the words effects a semantic disorientation: neither word, neither inside, nor outside, sustains its own individual referential clarity. The semantic space - the meaning of both terms - becomes symbiotically bound, asking from the viewer to reflect on the complexity of meaning inherent to language and the space of "reading" itself.